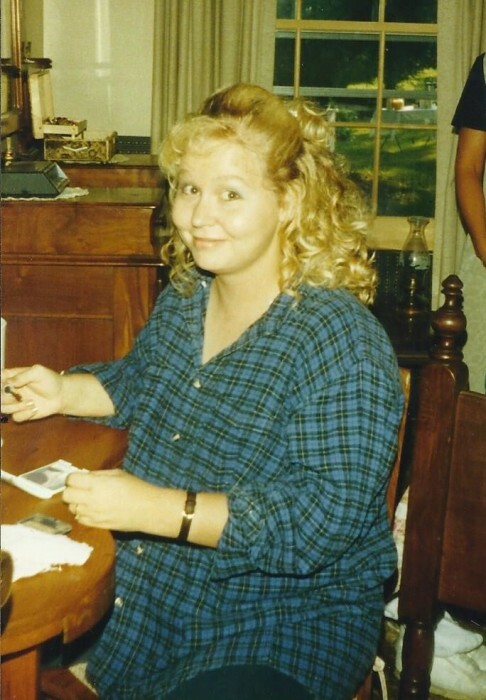 Amy Lee Newton, 45 of Cox’s Creek, died Saturday, September 8, 2018 at Flaget Memorial Hospital. She was born December 9, 1972 in Bardstown and was employed at Amazon. She is preceded in death by her mother, Margaret Lee “Peggy” Newton; maternal grandparents, C.E. and Nora Belle Ballard; and paternal grandparents, Sam and Thelma Newton. She is survived by her daughter, Camille Goodman of Cox’s Creek; father, Ruben Newton of Cox’s Creek; brother, Francis R. (Cathy) Newton Jr. of Bardstown; niece, Courtney Newton of Bardstown; nephew, Jonathan Newton of Cox’s Creek; three great-nieces and nephews, Ellie, Barrett and Kayelyn; many aunts, uncles, and cousins; and close family friends, Corey and Pamela Dean. Her funeral service will be 11:00 am Thursday, September 13, 2018 at Barlow Funeral Home. Burial will be at a later date at St. Gregory Cemetery. Rev. Peter Do will officiate. Visitation will be 4 till 8 pm Wednesday, September 12, 2018 and 9 till 11 am Thursday, September 13, 2018 at Barlow Funeral Home. Memorial contributions may go towards the funeral expenses.